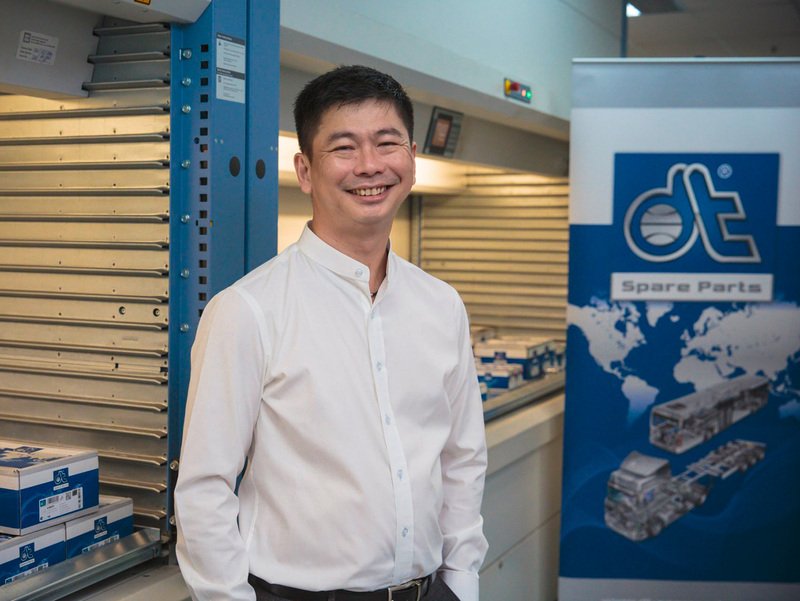 “I don’t think we can concentrate any more only on one industry and just one model type or just one market.” With this realization, Ivan K. H. Lin initiated an important change in strategy at the commercial vehicle spare parts dealer Kian Chue Hwa in the late 1990s. The global economic crisis in 1997/1998 had just hit the markets hard, especially in Malaysia, Indonesia, the Philippines, Singapore, South Korea and Thailand. Kian Chue Hwa escaped the subsequent recession primarily due to new business ideas. “Since then I have developed a few more industries, a few more markets within the region”, the current managing director describes what is meanwhile the very broad-based positioning of the company. 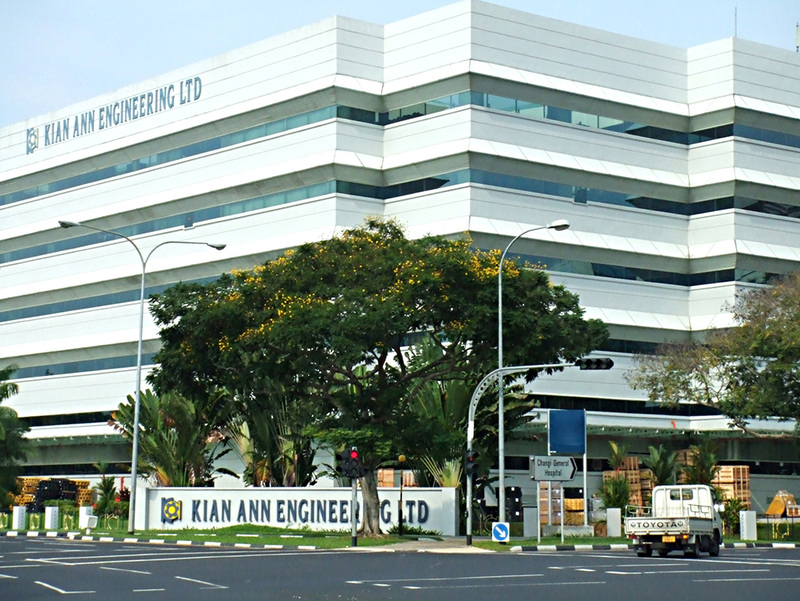 Today, some 40 years after its founding, and after the successful merger with Kian Ann Engineering in 2007, Kian Chue Hwa is the most established commercial vehicle spare-parts dealer in Singapore. The tradition of the company and the founder family goes way back. It originates from the ethnic group of the Henghua from the Chinese province of Fujian. Since the early modern period, Henghua has traditionally been active in the spare parts trade - initially for rickshaws and bicycles, now consistently for motorized vehicles. “My father started working in the spare parts business because we are Henghua, and in 1976 he had the opportunity to start a business on his own”, Ivan K. H. Lin described the founding of the company. In the early years, the commercial vehicle spare parts trade in South-east Asia was dominated by English and Japanese vehicles. At the beginning of the 1980s, Kian Chue Hwa concentrated briefly on Japanese vehicles. While other companies stayed with this, Kian Chue Hwa had already switched to the Mercedes-Benz brand in the mid-1980s. One reason for this was the flourishing forestry in Southeast Asia. “So when I joined the business in 1994, everybody knew Kian Chue Hwa as a Mercedes-Benz spare parts specialist. Now we are not only doing Mercedes-Benz, we are also doing other European made vehicles. Moreover, we are not just doing forestry. We are doing public transport and other industry like power generating, construction etc.”, Lin described the extended orientation of the spare parts dealer. Kian Chue Hwa operates at locations in Indonesia, Thailand, Myanmar and Malaysia and would like to offer greater customer proximity with more subsidiaries in future. But how does Kian Chue Hwa manage to expand, even in economically difficult times? Ivan K. H. Lin believes that, in addition to collaborating with the right partners, Market knowledge of the market in which one wants to offer one’s goods is important. For example, Kian Chue Hwa refrains from competing the mass market. “Why go in and compete with market leaders in those mass market products?" “But no one is perfect, Diesel Technic has to improve continuously, as well”, says the managing director of Kian Chue Hwa. 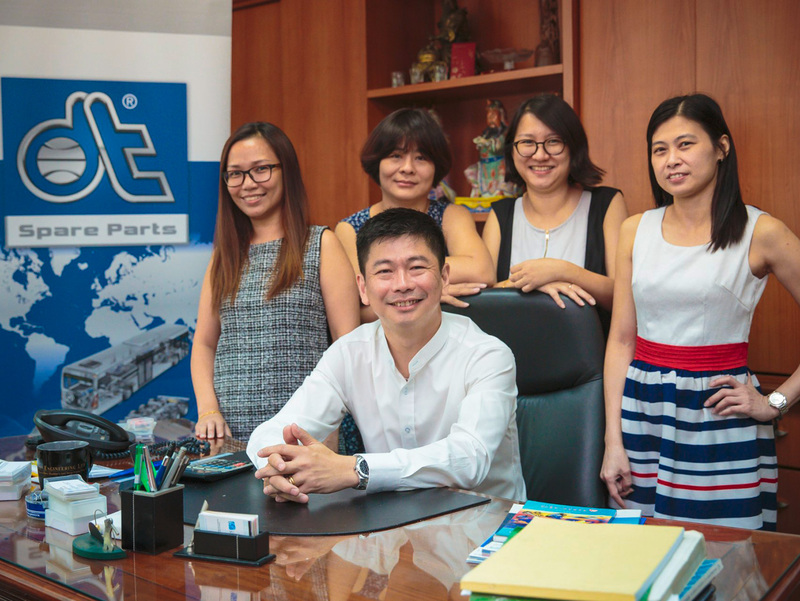 And just as the South-east Asia commercial vehicle spare parts dealer has constantly improved its business over the years, Diesel Technic is working on the continuous improvement of the partnership, so that Kian Chue Hwa and Diesel Technic can grow further – together.